Ryan O’Connor founded Rip N Dip in Orlando in 2009 with the goal of giving the streetwear world a sensory overload! 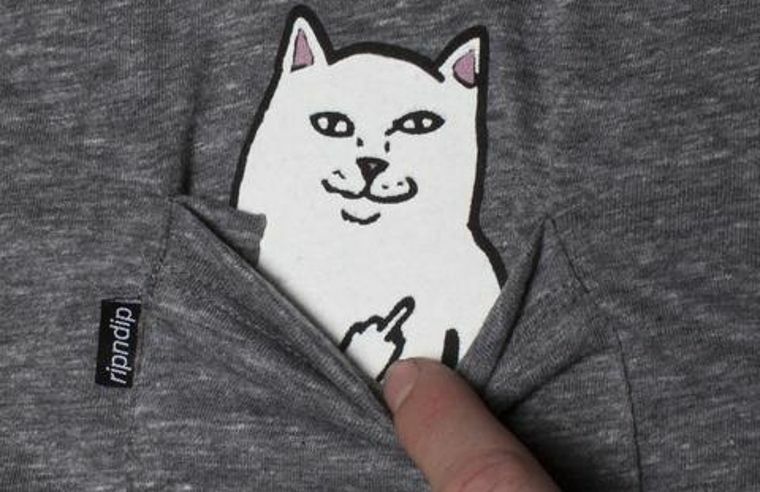 Okay, maybe that wasn’t his first priority, but his use/love of aliens, cats and flipping people off resulted in a ton of shirts featuring a cat that goes by the name of Lord Nermal. His middle finger has since become famous. 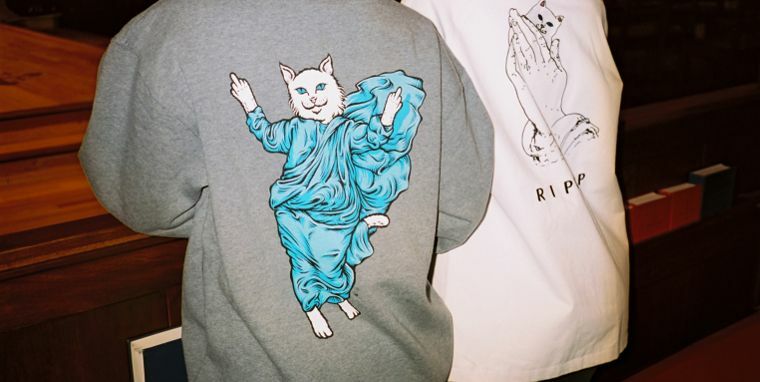 Rip N Dip has a full streetwear collection, including t-shirts, shirts, tank tops, skate decks, caps and more with crazy graphics. If you’re tired of looking boring, you need to get some Rip N Dip stuff into your life! The Rip N Dip skate team consists of newcomers like Ryan Townley, Matt Militano and Zach McKinley, among others. skateboards and accessories can also be found in our online shop.